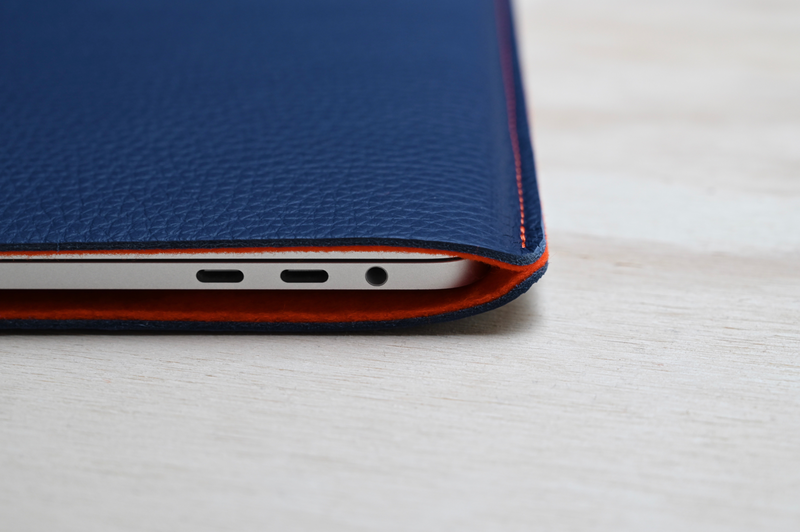 Blue premium Italian textured leather. The finest Orange Dutch wool felt, 100% wool. Stitched with super strong teal thread normally used in parachutes. All items are handmade by us in our studio. The iPad + Folio sleeve works for the iPad with the Smart Folio or the iPad with the Smart Keyboard Folio. This model is not available anymore.